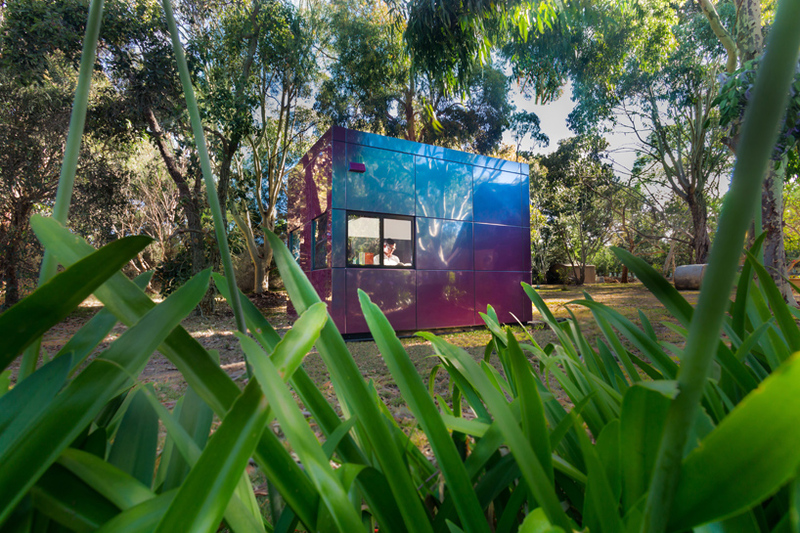 The ‘harwyn pod’ is a permanent structure that was born out of the desire to create a space that would adapt to the needs of the user, while being luxurious and opulent. fabricated in melbourne, the pod is a self-supporting structure clad in a metallic skin and maintains its form despite being transported and delivered to different locations. 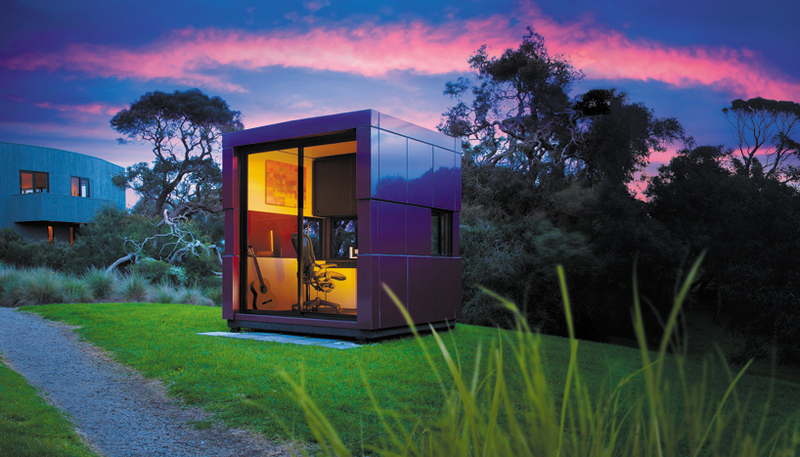 the design brief called for the pod to be versatile enough for a wide range of uses. suitable for grass or earth surfaces, the site preparation for the pod is minimal. 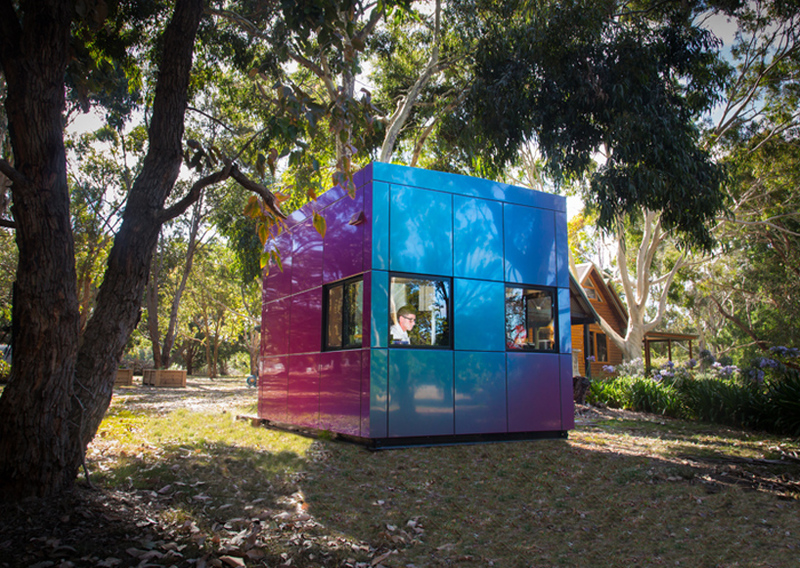 internally, the cube floor plan is fitted out with climate control systems, LED lighting and sound system where ultimately, it provides the user a relaxing and private respite that blends with nature.